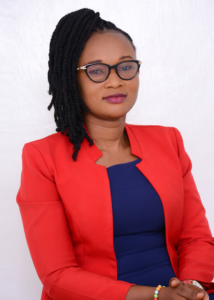 Miriama Iddrisu’s desire to improve global climatic conditions, coupled with her good leadership and organizational skills, drove her to start a plastic waste recycling business- Yensom Enterprise. Yensom Enterprise is a start-up which aims to create employment and wealth through recycling of plastic waste. Its mission and vision is to reduce the amount of plastic waste in the environment by promoting individual and corporate responsibility and utilization of plastic waste as a resource.